Every year, Ten Bands One Cause releases a limited-edition pressing of ten albums on pink vinyl in support of Gilda’s Club NYC, a community organization for people fighting cancer and their families. On Tuesday, the charity organization announced this year’s participating bands. Hall and Oates, Soccer Mommy, Modest Mouse and Silversun Pickups’ are among the artists who will partake in the fifth year of the fundraiser. Their limited-edition reissues will be released between Sept. 26 and Oct. 25, and will be available for purchase in retailers across the States. 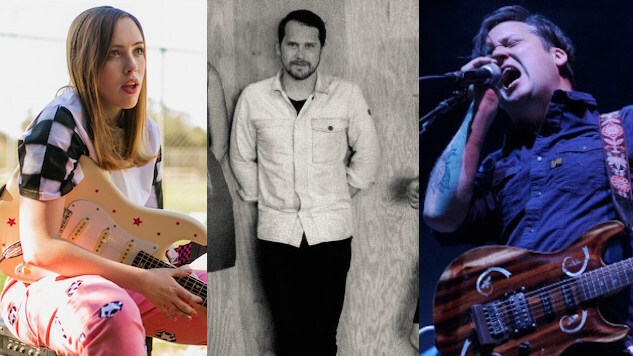 Up-and-comer Soccer Mommy will reissue her debut LP Clean, while rock veterans Modest Mouse will rerelease This Is A Long Drive For Someone With Nothing To Think About. The 1975 self-titled debut for Hall and Oates will also receive the pink treatment along with Silversun Pickups’ second album Swoon. Other artists involved with this year’s Ten Bands One Cause are Local Natives (Gorilla Manor), Run the Jewels, El-P (Cancer 4 Cure), Black Moth Super Rainbow (Panic Blooms), The All-American Rejects with their self-titled album and Tyler Childers (Purgatory). Rounding out the lineup is the soundtrack for the cult-classic film Rocky Horror Picture Show. We’ve all had to deal with cancer in one way or another. It’s an unfortunate part of being a human being. It touches our life in devastating ways that changes you forever. We’re so very happy to contribute to Gilda’s Club through the rerelease of our album Swoon. Let’s keep on fighting this thing. Never give up. Gilda’s Club was founded in 1995 to honor the memory of comedian and SNL cast member Gilda Radner, who died of ovarian cancer. A documentary—Love, Gilda—centered on Radner’s life and career will be released in September. Listen to Ten Bands One Cause 2018’s Spotify playlist here and find out more about this year’s initiative here. Enjoy Paste Studio sessions from Silversun Pickups and Soccer Mommy below.